Taking pictures of your pet is always a challenge and fun. 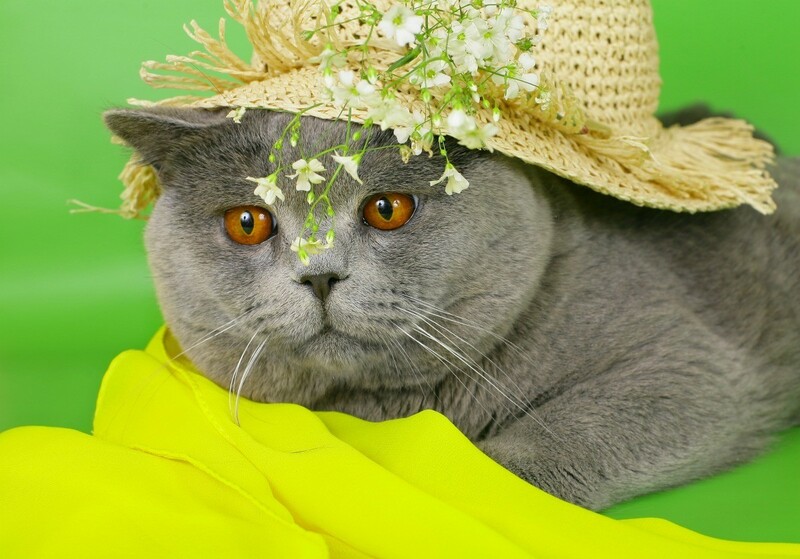 This guide contains photos of cats wearing hats. Splotches is a 5 year old tortie that I found. She likes to be loved on and pick on her sisters. She has this tail issue. We found her in our old neighborhood and my husband says she use to flick her tail because she was trying to keep away a mockingbird. Not sure if I believe that but she does flick her tail a lot. I really enjoy making things for my dear cat, I want to share her pictures. 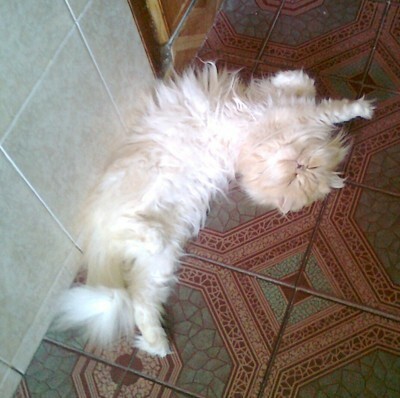 She is very lazy. She permits me to do everything I would like to make with her. As you see, I put this small hat on her. We do not know how old he is, as he was a stray but he has been with us for over 10 years. He adopted us on a cold winter's night. He loves to get into trouble. Desmond is now a beloved member of our family. This is a photo of him resting up after the stress of the holidays. 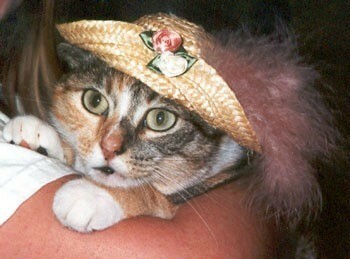 Our cat Tally wearing her hat! She really hates it and rips it off a.s.a.p. She's a two year old tabby that someone dumped out in our neighborhood. 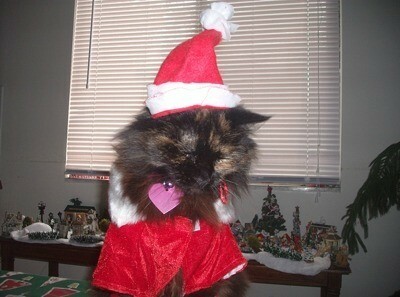 Chewey our cat loves to dress up for the holidays. She's dressed in a Santa hat and cloak. I made her outfit from scraps of red and white felt and some white yarn.